Official partner and supplier of EV ssl certs. What is an EV SSL Cert? Until now, because of the way SSL sessions have been displayed in browsers, phishing proponents could potentially apply a "padlock" onto fraud sites by obtaining easily-procured Low Assurance SSL Certificates. To close this security gap, Certificate Authorities (CA's) - Thawte, Comodo and Geotrust - have taken action by giving consumers the means to distinguish between businesses validated High Assurance Certificates and "domain only" validated Low Assurance Certificates. In Microsoft Internet Explorer, users will clearly see the address bar turn green when they visit a Web site secured with the EV SSL (If you cannot see this then your phishing filter needs to be turned on). A display next to the URL will toggle between the organization name, the certificate and the Certificating Authority that issued the SSL Certificate. 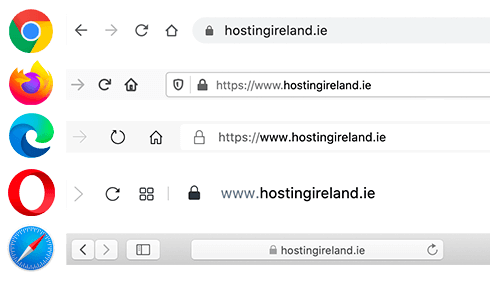 The green bar means that a third party has validated the business, their right to use the domain name, and that the High-Assurance SSL Cert has been legitimately obtained. With EV certificates your customers can achieve the same visible trust level as big online merchants. Your customers can tell immediately that you are a very secure and trusted site and that their payment details are safe. This new procedure has been established by the industry group - CA/B Forum - and involves a more rigorous validation procedure. Legal status as a company under government regulations. A Registration of Incorporation number. A place of business is in same jurisdiction as its place of business registration. A full address and a geographic telephone number to their place of business.